The lemon is very subtle in this dish. It just adds some brightness to the earthy quinoa. You could certainly double it if you would like a more pronounced lemon flavor. Cook quinoa according to package directions, adding turmeric and desired amount of salt with the water. 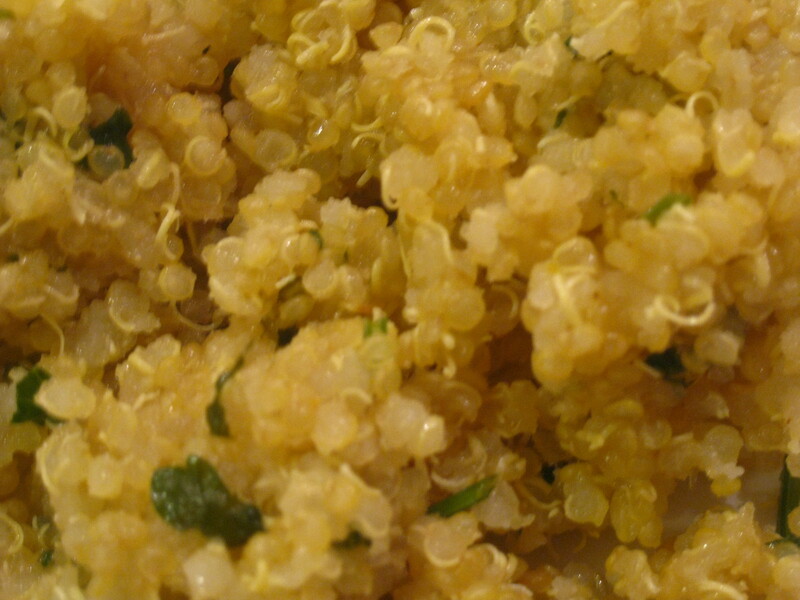 After quinoa is cooked, add parsley and lemon juice, and stir to incorporate.